Ashley Williams says Wales would have happily accepted the do-or-die Euro 2016 scenario they face when they come up against Russia in Toulouse on Monday. Chris Coleman’s side looked well placed to progress from Group B after they followed up an opening win against Slovakia by taking the lead against England in their second fixture on Thursday. 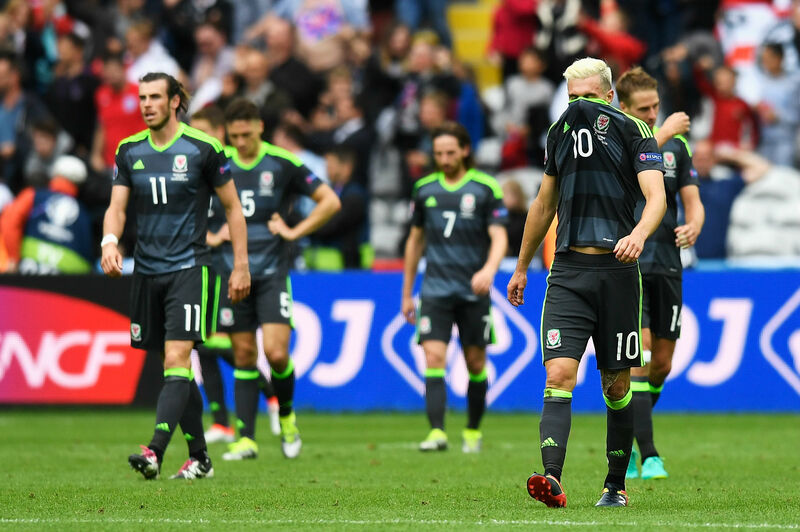 But two second-half goals, including an injury-time winner from Daniel Sturridge, stole all three points away from the Welsh. Skipper Williams insists, though, that if he was offered the chance before the tournament to head into Monday’s final game with three points, he would definitely have taken it. “If you’d have asked us before the tournament we’d have taken this to be honest. We’ve got three points in two games, and while it was disappointing against England it’s in our hands and that’s all you can ask for really,” Williams told reporters. The Swansea City defender added that the heart-breaking nature of the loss to England in Lens would not cloud the positives of their campaign so far, with his message in the post-match huddle having been for the players to keep their heads up. “The message was really just not to be too down. After the Sweden friendly game we were a bit down because we didn’t perform well and we spoke before the tournament about something like this happening. When we beat Slovakia we talked about not getting too high because we hadn’t achieved anything then, and it was the same on Thursday in terms of not getting too down. “Given the amount of work the boys put in, we shouldn’t be too hard on ourselves. This is football, and sometimes these things happen. We’ve done ever so well to get here, we’ve done well in the tournament so far and we’re a tight group, so we’ll stick together, be proud of what we’ve achieved so far and move on really. “We’ve seen a number of late goals in this tournament already and it’s the worst way to lose a game, so we’re disappointed but on the whole I think we’re still proud of ourselves and the fans were great as well. If England beat Slovakia in Saint-Etienne is Monday’s simultaneous kick-off then a draw will be enough for Wales to progress as Group B’s runners-up.